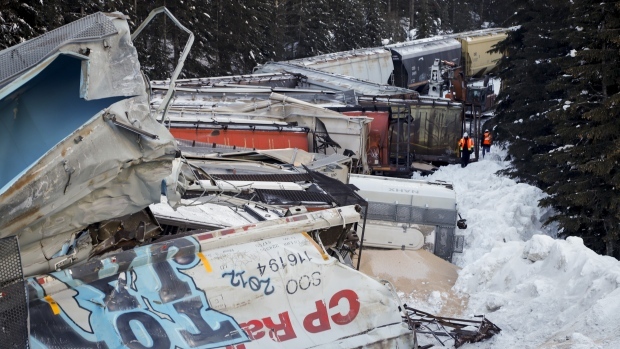 The Transportation Safety Board has scheduled a briefing in Calgary later today to update the status of its investigation into yesterday’s Canadian Pacific derailment in B.C. that killed three crew members. In a statement last evening, CP CEO Keith Creel said the accident “will have a long-lasting impact on our family of railroaders” and vowed not to speculate on its cause. The line-by-line rebuttal to the short-sellers’ report that cratered its stock is still a work in progress, but that no longer appears to be fazed Aphria shareholders, especially with Green Growth Brands’ unsolicited takeover bid on the table. APHA was the top percentage gainer on the TSX yesterday and has surged 47 per cent over the last four sessions. Keep in mind, we’re still awaiting its formal recommendation on GGB’s offer. Expect to hear plenty in the coming days about Bill C-69, the contentious piece of legislation that would overhaul the way pipelines and other major resource projects are reviewed in this country (and which prompted ex-TransCanada CEO Hal Kvisle to tell us would deter all "competent" pipeline companies from advancing new projects). The Bill is being scrutinized this week by the Senate's standing committee on energy, the environment and natural resources, with more than a dozen regulators and government officials scheduled to speak tomorrow and Thursday. We’ll chase perspective from both sides of the debate. After being subjected to multiple rounds of public criticism that sparked fears about central bank independence, U.S. Federal Reserve Chair Jerome Powell let bygones be bygones and accepted U.S. President Donald Trump's dinner invitation (they ate steak). According to the Fed, Powell made it clear at last night’s “informal” meeting that his central bank's decisions are "based solely on careful, objective and non-political analysis." Brexit uncertainty is no match for a Canadian entrepreneur’s belief in brick and mortar music retail. As speculated yesterday, Sunrise Records CEO Douglas Putnam is rescuing the remains of HMV (again). This time it’s in the U.K., where Putnam’s music chain is scooping up 100 HMV stores. -WestJet's fourth-quarter profit per share nearly doubled expectations even as it plunged 37 per cent from the previous year. A key cost metric (cost per available seat mile) inched higher in the quarter, largely because of fuel. We're looking forward to speaking with CEO Ed Sims tomorrow. -Alphabet shares are down ~three per cent in pre-market trading after a nearly US$9-billion net profit and 22 per cent surge in total revenue were overshadowed by deteriorating margins and rising expenses in the fourth quarter. -If you haven’t already seen it, check out the latest on Quadriga CX and the hundreds of millions of dollars in crypto assets that apparently can’t be retrieved after the Vancouver-based platform’s CEO died. -Shares of BP have been up as much as 4.8 per cent in London after easily exceeding profit estimates amid record downstream earnings and higher production. We have sound from Bloomberg’s interview with CEO Bob Dudley.